The Manager transforms remote news gathering by enabling an operator to manage and control hundreds of devices with a single tool. 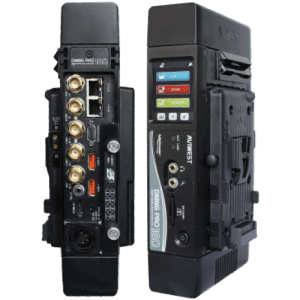 Using the Manager broadcasters can easily allocate resources and route live video content for transmission over 3G/4G cellular wireless, Wi-Fi, Ethernet, and satellite networks. 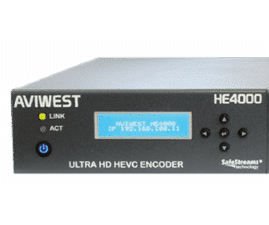 By streamlining AVIWEST operations, the solution provides broadcasters with significant time and cost savings. 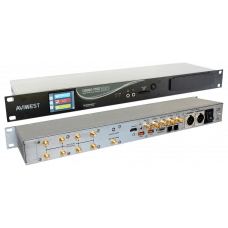 The Manager includes a rack-mount Linux server with a software license that can support hundreds of devices. Through an intuitive, Web-based user interface that can be installed through either a cloud-based application or a head-end solution, the Manager brings simplicity, flexibility, and efficiency to any news organization. One of the unique capabilities of the Manager is resource allocation. Utilizing the system, users route live streams and video files to dedicated receivers to increase their operational efficiency. The Manager also includes a variety of advanced monitoring capabilities that simplify news gathering. 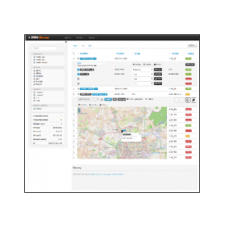 Through the device’s geo-location feature, operators can easily identify the exact location of every field unit for better management and easy troubleshooting. 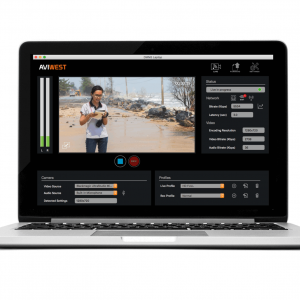 In addition, the Manager indicates the real-time system and performance of all devices in the AVIWEST ecosystem so that operators are aware of resource availability and potential warnings. A video thumbnail of each video feed coming in from the field units is provided. 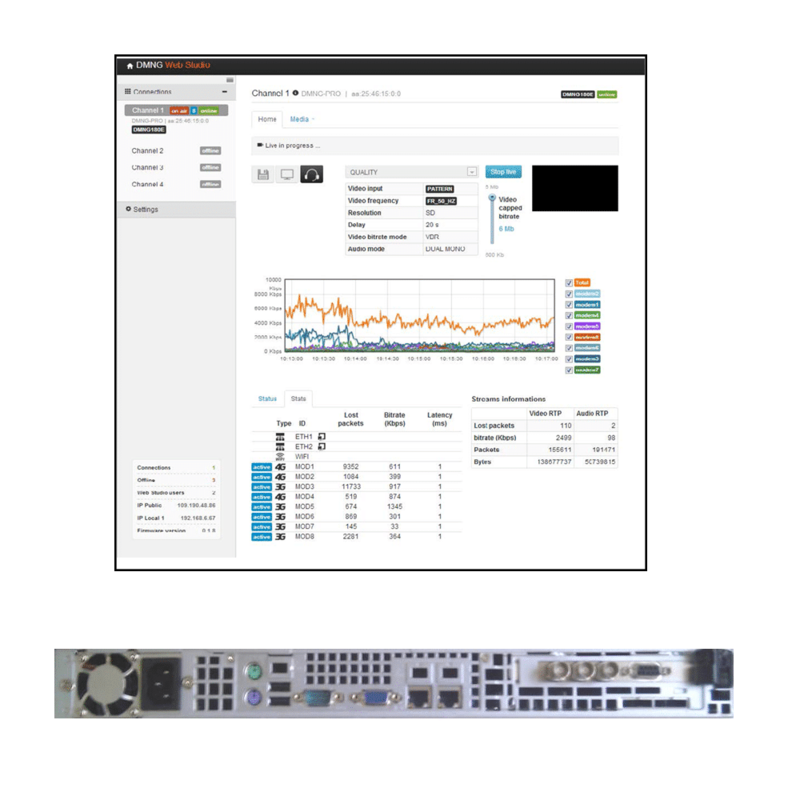 When arranged in a grid-view, these thumbnails help operators decide whether to route the video to one or multiple receivers or CDNs. Using the Manager, operators can remotely set up and configure field units in just a few steps. By enabling operators to push a configuration file to several field units simultaneously, the Manager speeds up a broadcaster’s operations. Additionally, the Manager provides access to the Web page of every connected field unit and receiver, enabling easy remote control. The Manager can be used as a central tool to manage firmware updates of the field units. 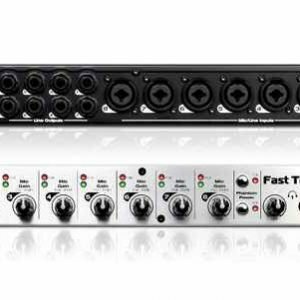 Firmware upgrades to the Manager itself are simple and affordable, providing users with a cost-effective and future-proof solution.